Cut the cherry tomatoes in four and add olive oil and salt. Place the rusks on a plate and place the fava, cherry tomatoes and spring onion on top. Finally, break up 1-2 biscuits with carob and place them on the plate. 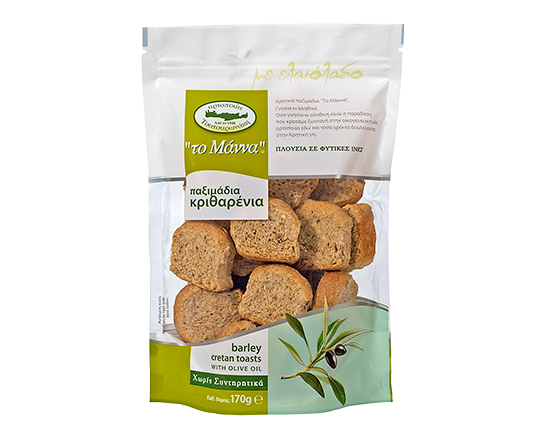 Let your imagination free and taste the recipe with any “the Manna” Tsatsaronakis rusk of your liking. * All olive oil products are made with Cretan olive oil.